Our choir will present another beautiful Festival of Lessons and Carols on Sunday, December 13th at 2:00. Lessons and Carols celebrates the Christmas story in nine short scripture readings interspersed with Christmas carols and choral music. Mark your calendar now so you don’t forget this special, free event. Please invite your friends and relatives for an hour of spirit filled, seasonal music and readings followed by refreshments in Fellowship Hall. We welcome you to the Hope United Methodist Church’s Annual Festival of Lessons and Carols, a program of scriptures and music, which is based on a service first held at King’s College, Cambridge, England, on Christmas Eve in 1918. A revision of the Order of Service was made in 1919, involving rearrangement of the lessons. The backbone of the service, the lessons and the prayers, has remained virtually unchanged since then. The carols do change every year, although the service has always begun with the hymn Once in Royal David’s City, and closes with congregational singing of O Come All Ye Faithful and Hark the Herald Angels Sing. Interest in the service grew in the 1930s, when the BBC began broadcasting this Christmas Eve service, a tradition that continues to this day. Many churches have adapted the service for their own use, and “Lessons and Carols” continue to be celebrated around the world. The nine lessons we hear today are from the New International Version Bible. 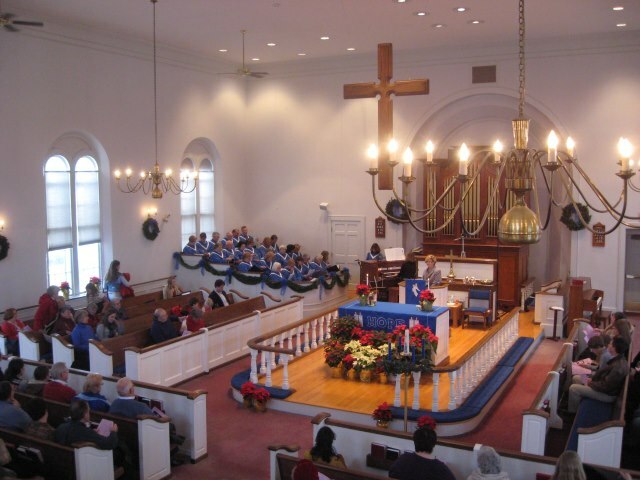 The carols comprise a mixture of familiar and new settings of traditional and ancient hymns. We invite you to join in singing of the hymns that are noted in this program. A Hope tradition is to end our service with the Hallelujah Chorus. If you’d like to sing with us, please join the choir at the front of the sanctuary during the singing of Hark the Herald Angels, and music will be provided. 1st Sunday of Advent, 2014! November 30, 2014 Hopewebmaster Worship Comments Off on 1st Sunday of Advent, 2014! The sanctuary was festooned in greenery, the choir was ready with their first Advent anthem. The excitement of Advent has come to Hope. Children lighting the candle of Hope, we even had a baptism! What a wonderful start to a special time in the Church. As many of you know, the Normand family has a daughter, and my family, a son and daughter-in-law, currently serving in Afghanistan in various capacities with the military. That’s a long way from home, especially during the holidays. Pastor Aida suggested to me, that it might be nice for the church to send some “Care Packages” over to these family members and their comrades, for Christmas. If you would like to contribute to this project, I am listing some things that I know will be greatly appreciated. 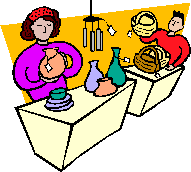 If items are brought to the church by Sunday, December1, 2013, we can get them packed and shipped by the required date of December 4th. It is required by customs that all items be listed with weight and cost included. Therefore, if you donate an item, please write on a piece of paper, both the weight and cost of the item. Home baked items only need approximate weight. Christmas cards and holiday wishes are also welcomed. It takes about 7-10 days to make the trip! Whatever you think of, I’m sure will be appreciated. Please if there are other Hope family members who are currently deployed and away from their families for the holidays, let us know so we can include them in our postings. Thank you in advance on behalf of our military members. Are you hustling and bustling about, feeling stressed about Christmas shopping and decorating? 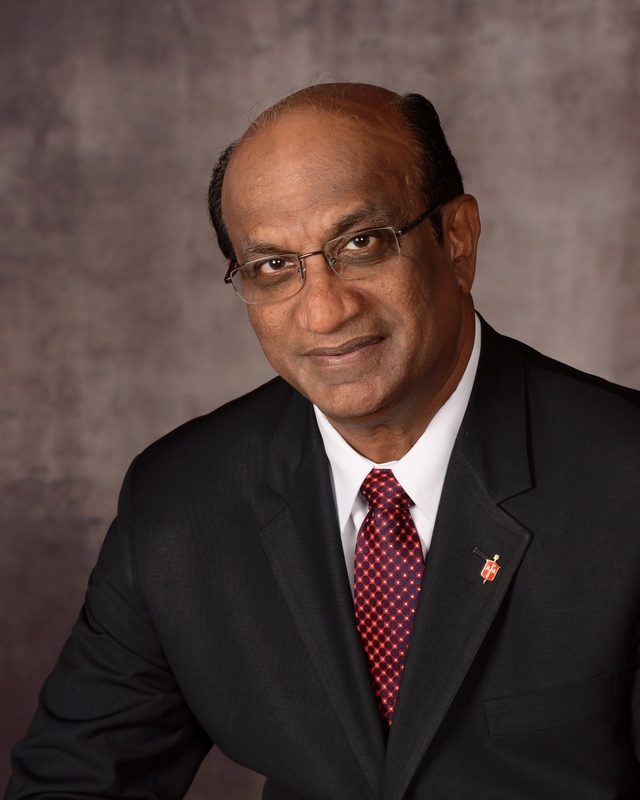 Take a few minutes to read this message from Bishop Sudarshana Devadhar to help you refocus on what is really important this Advent season.